Creating an HOA Budget - Advanced Management Inc. In many ways, operating a homeowner’s or condominium association is similar to running a business. The board of directors is responsible for anticipating revenues and expenses and using this information to create a budget that will allow the HOA to operate in an efficient manner. Unfortunately, creating an HOA or Condominium budget isn’t an easy task. In addition to making sure that all of the association’s needs are covered, the budget must remain compliant with local laws and regulations. Numerous factors need to be taking into consideration when developing an HOA or Condominium budget, and the process can be quite time-consuming. Many associations find it much easier to enlist the help of a professional property management company for this purpose. If, however, your association would prefer to handle its own budget, here is a basic guide on how to create an HOA or Condominium budget. Based on this information, you can estimate operating expenses and apply an inflation factor to adjust for the next year. You can also use this information to discuss major expenses with providers to help you adjust your budget accordingly. When developing your budget for the following year, pay close attention to expenses that may change dramatically from year to year. Such expenses often include utilities and insurance. Insurance rates and water, sewer, natural gas, electric and trash bills may fluctuate significantly from one year to the next, often leading to headaches for homeowner’s and condominium associations when creating budgets. A single problem can throw your entire budget off track if you aren’t adequately prepared. Despite your best efforts, it isn’t always possible to avoid unexpected expenses, so it’s crucial to have money set aside for such situations. As long as your homeowner’s or condominium association has made all of the required disclosures, members can be assessed to cover the costs of unexpected problems. In some instances, you may be able to withdraw from the associations’ reserve fund to cover unexpected expenses. Typically, reserve funds can be used to cover the expense of necessary capital repairs, replacement and restoration. At AMI, we proudly offer a full range of homeowner’s and condominium association managementservices, including financial management in Bradenton, Venice and Longboat Key. We can help your association develop an annual budget, collect assessment fees and much more. 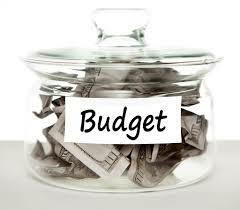 Budgeting is a major challenge for most homeowner’s and condominium associations. Contact AMI today to learn how our professional property managers can help you develop a budget that provides for all of your association’s expected operating expenses and leaves room for unexpected disasters. We have decades of combined experience, and you can count on us for reliable financial management services.